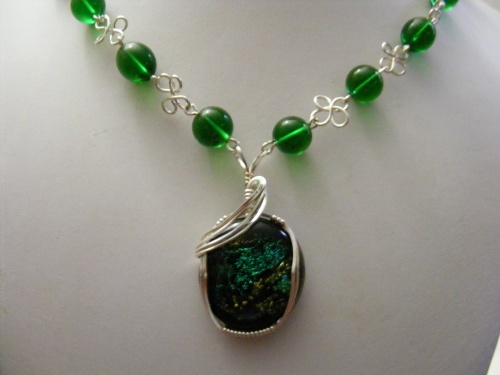 This pretty necklace is made of green glass beads and connected together by handmade clover like sterling silver links. The focal is handmade sparkly dichroic and framed in sterling silver design. Piece measures 18" long and comes with a pair of matching earrings.